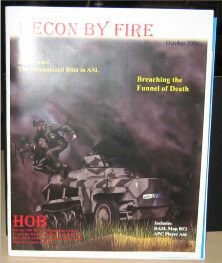 A sophomore issue of Recon by Fire (RbF2) was a welcome surprise to many ASLers who thought the magazine was defunct after only one issue in 1999. 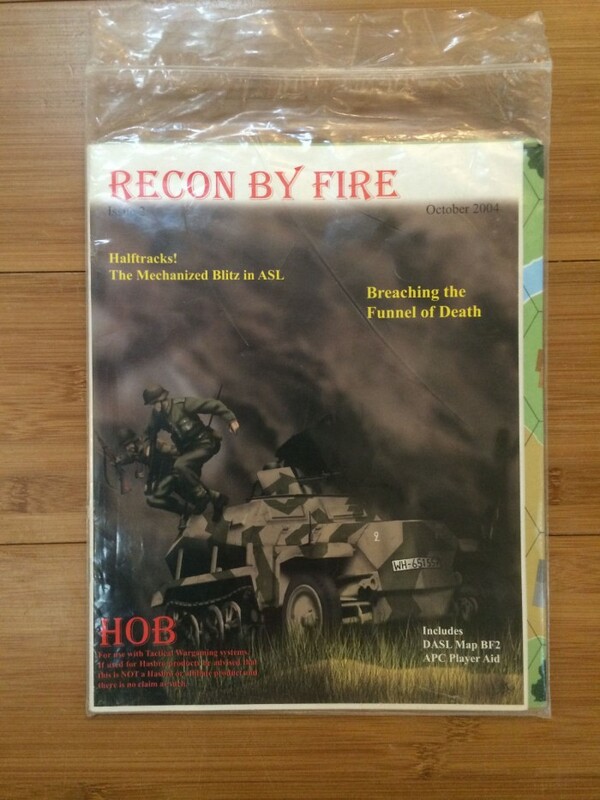 Winning the “I’m not dead yet” award for 2004, the resurrected RbF2 even included extra goodies, such as a halftracks play aid and an unmounted geomorphic DASL map (the map is numbered BF2 because it was originally designed by Chas Smith when he ran Bounding Fire Productions, a short-lived third party publisher; BF1 appeared in BFP’s Hell on Wheels battle pack). Whereas (since departed) Eddie Zeman edited the first RbF, Chas Smith took the helm for the second; indeed, it is almost completely a Chas Smith production from articles to scenarios. Smith wrote the main article in the magazine, a meaty tome on “breaching operations,” i.e., the penetration of constructed defense lines in ASL. Unfortunately, there are extremely few scenarios in ASL that allow the defender to have such elaborate defensive structures, so the article is of limited utility (though it may well be of interest to owners of Onslaught to Orsha, which does have such lines). Two articles, one that gives an overview of the on-line ASL Forums, and another that provides an overview of ROAR (the on-line database of ASL scenario balance records, are not very useful; people who are on-line tend to already be aware of such resources and people who are off-line are unlikely to seek them out. Another Chas Smith article, however, provides a useful and interesting overview of halftracks in ASL. The 10 scenarios in RbF2 are, as in the first issue, a mixed bag of nuts rather than grouped around a particular theme; however, the majority of the scenarios are East Front. They also tend towards the large (something that would soon become a Chas Smith trademark); there are no small scenarios, only medium and large ones. They are also vehicle heavy; only a single scenario is infantry only, while some of the actions have a great many vehicles (half of the scenarios have 8+ vehicles; one scenario actually has 51 AFVs!). 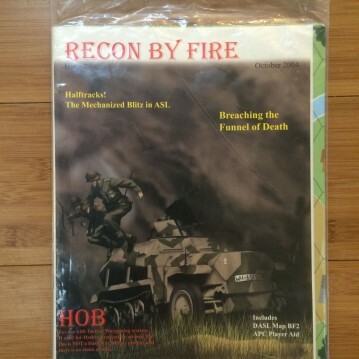 The scenarios include 2 DASL scenarios–RBF-9 (Rolling Stones) and RBF-12 (Sverdlikova Melee), both of which use the included BF2 map–and one scenario, RBF-14 (Kampfgruppe Lang), which uses boards HOB-I and HOB-II from the HOB scenario pack High Ground! All but one (a reprint) of the scenarios were designed by Chas Smith (two of the scenarios were originally slated to appear in the never-produced Hermann Goering Division pack by Bounding Fire Productions). Of the scenarios, particularly noteworthy are RBF12 (Sverdlikova Melee) and RBF14 (Kampfgruppe Lang); RBF15 (Shumilino) is also worth trying. RbF#2 is a good purchase and provides lots of value, but it would have been even better with a more balanced scenario mix.